Monetizing your website with ads is a challenging business model. As you've pointed out, the best way to be attractive to an advertiser is to make sure your website generates more qualified traffic than your advertisers can generate on their own. 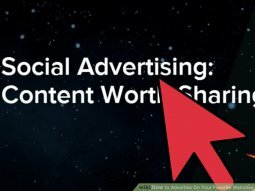 Using advertising networks: One way to monetize websites with smaller traffic is to sell your space to an advertising network such as Google AdSense. AdSense provides you with code to display ads created by Google customers that you can place on your site and in your videos. You get a small commission for every click. Other ad networks include Yahoo! Publisher Network, OpenX and AdBrite. Pricing your ads based on actions: If you want to sell your own ads without using a network, there are three basic advertising pricing models. Cost Per Thousand (CPM) charges the advertiser for every 1, 000 times the ad displays or loads on a page. Cost Per Click (CPC) charges the advertiser for every one click on an ad. Cost Per Action (CPA) charges the advertiser when a click on an ad results in an action such as a purchase or someone filling out a form with an email address. Generally, actions are the most valuable to an advertiser, followed by clicks and then impressions. Since you are taking more risk by offering a CPA pricing model, theoretically you can make more margin on charging for actions. For example, an advertiser who makes $100 on every sale might not be willing to pay $10 per thousand impressions or even $.10 per click, but they may be more than willing to pay $50 or $75 per action because they are virtually guaranteed a profit when they receive a sale that results directly from an advertisement. Working out the math: To get a ballpark idea of how much traffic you'll need to make the kind of money you want by charging for actions, take the average click-through rate (CTR) and multiply by the average conversion rate you think you can get for an advertiser. For example, the average CTR on display ads is around .07 percent, so you'll need around 1, 429 visitors to get a click on one of your ads. If you can convert 5 percent of your clicks into a sale or a lead for your advertiser, you'll need 28, 580 visitors to get one sale or lead for your advertiser. The more valuable the sale or lead, the more you can charge for the action. If you want to charge for clicks, take the average CTR and multiply by the average Cost-Per-Click (CPC) an advertiser is willing to pay. For example, if the average CTR is .07 percent and the average CPC is $.25, you'll earn around $1 for every 5, 716 visitors. A rate card is a document containing prices and descriptions for the various ad placement options available from a media outlet.